If a car hits you while you are walking or jogging, your immediate priority should be to seek appropriate medical treatment. Your second priority should be to seek legal advice from a car accident lawyer with experience in pedestrian cases. An Orlando pedestrian accident attorney at Kramer Law will evaluate the full extent of your injuries and take on the insurance companies to obtain maximum recovery. Pedestrians, runners, bicyclists – all have the same right to use the road as automobiles. Unfortunately, drivers do not always behave in a manner that upholds this right. With Disney World and other family-based attractions, Orlando is a city with excessive foot traffic. High volumes of out-of-town motorists are often looking to get to their destination and not paying enough attention to the road. Add in the commuter traffic of our metro area and you have a recipe for pedestrian accidents all too often. Kramer Law Firm is well aware of this, which is why injured pedestrians and victims of hit and run accidents choose us to handle their case. What Can You Do If You Are Injured as a Pedestrian? If you were injured as a pedestrian by a negligent car or truck driver, or a loved one was injured or killed by a vehicle, you have the same legal rights to pursue financial compensation as any motorist. At Kramer Law, our first priority is to help you seek immediate medical attention, even if you do not have medical insurance. Our second priority is to help you get the maximum money you need and deserve after being harmed as a result of a driver’s negligence or recklessness. When are Pedestrian Accidents the Driver’s Fault? When Is the Pedestrian at Fault? The truth is, many factors can influence who is at fault for accidents involving pedestrians and motor vehicles. 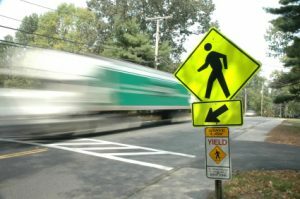 Accident cases of pedestrian vs. automobile can be hotly contested by insurance companies who will attempt to blame the pedestrian for the accident. Pedestrian accidents involve unique issues regarding accident reconstruction, and complex arguments of fact and liability. It takes an Orlando personal injury attorney with substantial experience in pedestrian accident cases to investigate what happened, identify witnesses and responsible parties, and take proper legal action. You need a skilled advocate who knows how to negotiate with or litigate against the insurance companies to obtain the settlement you deserve. Unfortunately, it does not take much for a car on pedestrian accident to be severe. Countless fatalities and serious injuries occur when a car going around 30 mph hits a person, but someone can become disabled by a vehicle going as slow as 10 mph. Time limits apply in auto and pedestrian accident claims, so act quickly. Call the accident attorneys at Kramer Law today to schedule a free consultation. Our Orlando injury lawyers have a passion for representing pedestrian accident victims in our community, and will make every effort to build a strong case that will place you in the best position to win the compensation that you deserve. The law is on your side, and we will put it to work for you. We offer payment plans, accept credit cards, and are available for evening appointments. To contact a lawyer call 855-Kramer-Now (855-572-6376).